According to Rewards1.com, it can help you turn spare time into cash. But is Rewards1 a scam or really a legit way to earn online? I decided to find out myself and have joined to test the site thoroughly. In this Rewards1 review, I will give you an inside look and show you all the details so you know exactly what it offers and if it will be worth it for you or not. Disclosure: Some articles on this website contain affiliate/sponsored links. Click for more info. What is Rewards1.com and what does the site offer? Rewards1.com is an online rewards portal that has been around since 2007 so it has been around for a while. It is a get-paid-to (GPT) site that offers you several ways to earn. I must admit that at first when I logged into the site, I was a little confused as it is not as easy to navigate as on some other sites. But it luckily does not take too long to learn to find your way around, and with this review I hope to make it easier for you, so you can easily get an overview of what the site offers and how to use it so you can find out if it is the right option for you or not. So let’s start by going over what Rewards1 offers and how good each of the opportunities is. 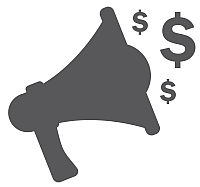 Paid surveys is the earning method with the most opportunities on Rewards1. 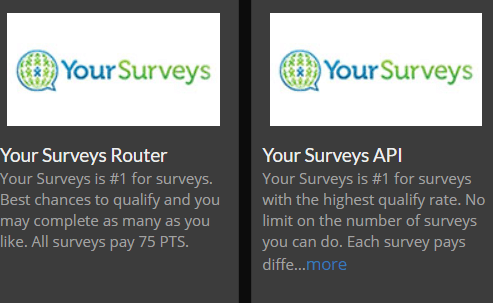 On the platform, you can find access to several survey routers that offer a decent amount of paid surveys. Examples of paid surveys on Rewards1. These survey routers are definitely legit and they are used on many other GPT sites as well. The way a survey router works is that you are taken to a different page to complete the survey and often they scan for a new survey if you do not qualify for the initial survey. This means you will often find a good amount of available surveys but at times it can also take a bit of patience to find the surveys you qualify for. Once you have completed a survey, you will get the reward into your Rewards1 account. The rewards in relation to the time spent on Rewards1 are more or less the same as some of the top paying sites like Swagbucks and PrizeRebel. So it offers a decent amount of survey opportunities. On Rewards1.com you can find several paid offer walls. These are sections with offers from their partners. It can be to sign up for free trials, to download games, to sign up for contests, and more. You can also often find more paid surveys in these sections. Rewards1 has quite a few offer walls and partners. It does not offer quite as many as a site like ClixSense, but it offers a very good amount and several ways to earn here. Some of the available offer walls. If you take the time to find the good offers, it can be a great way to boost your earnings. With paid offers like this, you just always have to make sure to read the conditions for each offer. Some of them have great conditions and high rewards while others are not so great. So make sure to know what kind of offer you are taking and what it requires you to do to get the reward. You can find videos within many different topics you can earn by watching on Rewards1. You can earn by watching videos – just not a lot. This section might not be so easy to find at first as there is no section called anything with video. To find this option, you have to go to the “earn” tab in the main menu and then click “offers”. The videos are an easy way to earn as it does not require much effort on your part. BUT the rewards for videos like this on all GPT sites are very low. That is why I always say that it can be entertaining, so if you want to watch the videos and be entertained then why not earn a bit at the same time. But if you do it just to earn, there are definitely more effective ways on Rewards1. Every day you can find a daily poll on Rewards1. It is a very short question. The daily poll only takes a few seconds to complete. You get 1 point (the equivalent of $0.01) to answer this, so not a big reward but it also only takes a few seconds to participate. So if you are logged in, then why not just quickly do it. As soon as you have answered, you can see the percentage of how other people have answered. Not a way to make big money, but a fun little extra option. As a way to keep yourself motivated on Rewards1, there is a daily quest. This is where you can get an extra reward by achieving a certain amount of earnings in a single day. You can earn a bonus by having a certain activity every day. The quest has several stages with higher bonuses. Again, this is not a way to earn huge rewards as the bonuses are pretty small but if you are active anyway, it is nice with a little extra motivation/bonus. There are a few different games you can play on Rewards1. Some of them can give you some pretty good earnings if you are lucky (or good). Some of the game/betting options can give high rewards if you are lucky. Some of the games can be played either for free or you can bet an amount. To have a chance of winning anything in the games, you do, however, have to bet some of your earnings. So not as such a way to earn unless you are lucky or good at the games. But if you like gambling or betting, there is a chance to get some extra winnings. You can also earn by inviting friends to join Rewards1. If you invite a friend to join, you will earn a commission every time that person earns. This will NOT be taken from your friend and he/she will earn the same. This is paid out of the pockets of Rewards1 to thank you for telling others about the platform. If you know people that could be interested in joining, it can be a nice way to earn a little extra. Every week there is a free contest on Rewards1. As an active member, you will automatically participate. There is a leaderboard of the highest earners on the platform in the USA and of the highest earners internationally. The 20 people on each leaderboard with the highest earnings at the end of every week will get a percentage of their earnings as a bonus. The bonus percentage will be 2%-10%. So if you are active, this is a nice extra bonus to get. There is the option to find Rewards1 promo codes and get a bit of free points this way. The promo codes gives you free points. The promo codes can be found on the Facebook and Twitter page of Rewards1. You then put this code into the field on the website after you are logged in (see image above). It is not a way to make a lot of money as the rewards are small and the codes are not posted very often. But it is also very easy to do, so a bit of free points is always nice, in my opinion. You can chat with other members inside Rewards1 and get help if you have any questions. There is also a forum that is pretty active and where you can find a lot of info and where the staff announces any changes and upgrades of the platform. The chat is somewhat active, but you should not always expect an instant reply. Personally, I prefer looking for info in the forum as there is a lot of info here. 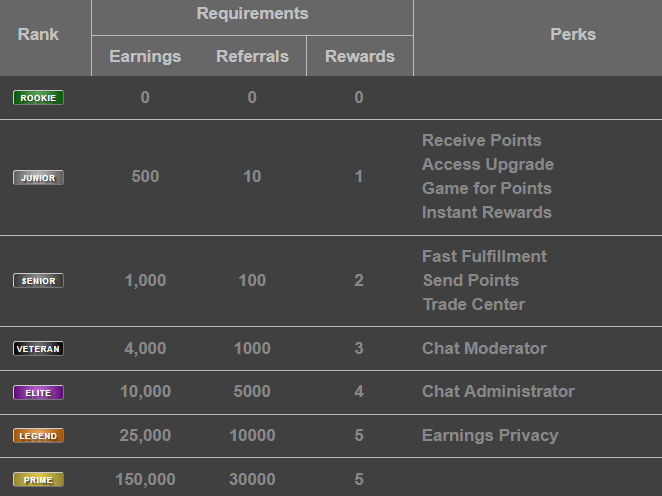 Rewards1 has 7 different membership levels. It is important to understand these membership levels to understand the options you have on Rewards1, so therefore I want to shortly explain them here. All of them are free and the way you go to the next level is by having a certain activity. Each level has its own benefits. The membership levels on Rewards1. To move to the next level, you need to either have a certain amount of earnings OR refer a certain amount of people. You do not need both. In addition to this, you need to have requested a certain amount of rewards to move to the next level. You can get an overview of the levels and their benefits on the graph above. I think the membership levels are a great way to stay motivated and nice that they reward the more active long-term members. Now you know how you can earn on Rewards1 and how good each of the options are. What is also extremely important for any GPT site is the type of rewards they offer. On Rewards1 you earn points. 1 point = $0.01 so it is very easy to calculate how much you earn, which is nice. You can choose between many different rewards in different categories. There are many rewards to choose from – even an option I have never seen before. You can choose between many gift cards, you can get paid through PayPal, get Amazon gift cards, game codes, and more. Mostly you can request a reward when you have earned $5 which should not take too long. For the games codes, you can, however, request a reward already when you have earned 125 points ($1.25). In addition to this, Rewards1 offers a reward I have never seen on any other platform that is quite interesting. That is to get a custom reward. In case you do not see anything you want among their rewards, you can tell them and they will get it for you for your Rewards1 points if it is available at an online vendor. I think this is a pretty cool idea. I do, however, not know how it really works in practice as I prefer PayPal as a reward, so do not really have the need for the custom option. But I think it is a really interesting option and something that definitely separates them from other platforms. How much money you can make on Rewards1 is very difficult to give an exact answer for. It depends a lot on the effort you are willing to put in. It is definitely a way to earn some nice extra cash on the side. I have, however, seen people look for a Rewards1 hack to help them make a lot of money on autopilot. I just want to make it clear that such a hack does not exist. Any GPT site does its best to try to stop any automatic tools and hacks that goes against their guidelines. You can definitely earn on the site and you can also earn some nice extra cash. But you have to do the work – if you try to cheat, you will very likely instead end up having your account banned. Overall, it is important to know that GPT sites like Rewards1 are not meant to make you a full-time income or make you rich. It is meant to give you a chance to earn some nice extra cash. This is definitely possible but you just need to do it with the right expectations. It is always nice when a survey and GPT site is easy to use on mobile so it is possible to use on the go. Luckily, Rewards1 works very well on mobile and is quite easy to use as it is well-optimized for mobile. Anyway, it is definitely possible to use Rewards1 on mobile and smaller screens, so if you would like to earn from different devices, it is possible. A great thing about Rewards1 is that anyone can join – no matter the country you live in. You just have to be at least 13 years old to sign up. The amount of available surveys and offers will, however, vary depending on the country you live in. Since it has a separate leaderboard for the top earners from the US, I am assuming this is where you get the most opportunities. But it looks like you can also find a decent amount of ways to earn in many other countries. There are several ways you can get support if you need it on Rewards1. You can try to use the chat function and get help from other members. But you can also find a lot of info and get a lot of answers to your questions in the forum. Finally, you can submit a support ticket as a member and get a reply if you have any questions. I have tried to submit a support ticket myself, and I very quickly got a very helpful answer. Great and fast support like this is something I really appreciate and it shows it is a panel that also cares about its members. Overall, Rewards1 is a legit site with real ways to earn. This does, however, not mean it will be the right option for you. So to help you find out for sure, let’s sum up the pros and cons so you can get a better overview. Rewards1 is definitely a way to earn some extra cash online. It will not make you rich but it has decent earning opportunities compared to similar sites. At first, it can be a bit difficult to find out how to navigate and find the different options but I hope my review has helped you with this. 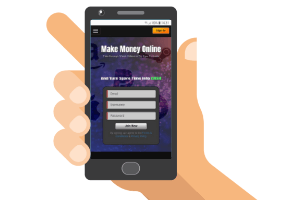 If you take the time to get to know it, it offers several ways to earn and it has some really great payout methods – even a custom method I have never seen before. It especially gives benefits if you keep being active and get to a higher membership level, so it pays to stay consistent if you decide to join Rewards1. It is very easy to join Rewards1. You just click the button below that will take you to the sign-up page. Here you just give your email and password. After you have then confirmed your email address, you get access to the platform and can start earning right away. If you have any comments, questions, or have any experiences with Rewards1 yourself, I would love to hear from you in a comment below. Rewards1 gives you several ways to earn. The only thing is that it can be a bit confusing at first and sometimes it takes a bit of patience to find the surveys you qualify for. But if you take the time to get to know it, it offers good opportunities, and it has really great payout options. A site available all over the world and especially in English-speaking countries it is worth considering. You can, however, also find good ways to earn in many other countries.